There comes a time in your baby's life, when they are not so little anymore and they start growing out of their cot, pram and car seat. We have used a Doona for the past 14 months and as amazing as it was, it has to be put away for the next baby and Mia recently got an upgrade to a big girl seat. She was soooo excited during her first front facing ride! 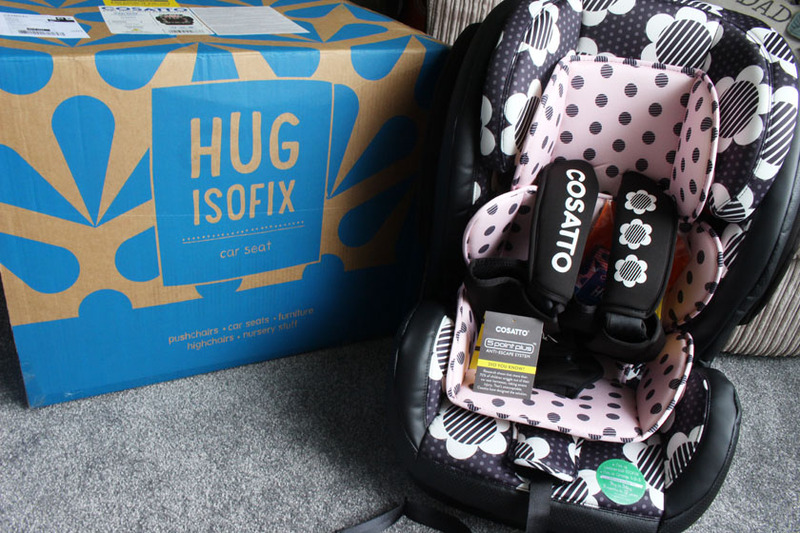 We opted for the Cosatto Hug Isofix Daisy Dot Car Seat*(£280.00) with 5 Point Plus Anti-Escape System and we absolutely love it! 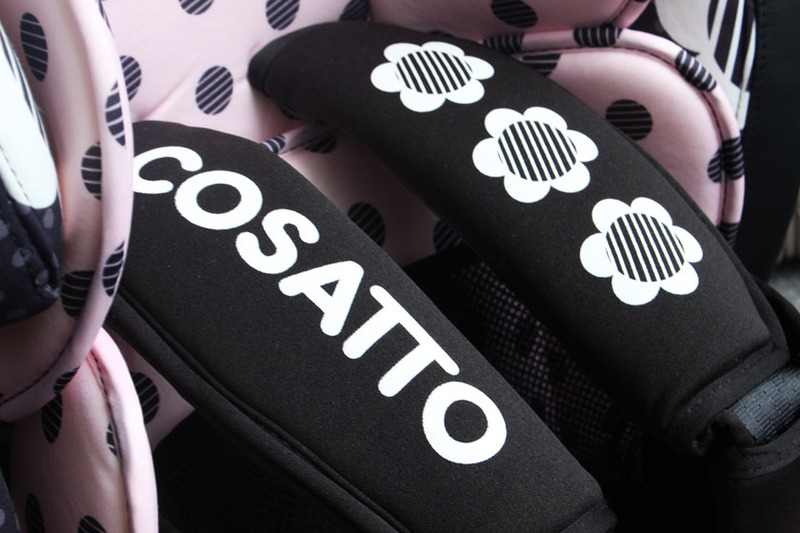 Not the most important thing, but something I adore about Cosatto is their stunning designs! Their prints are beautiful and fun and I have always been drawn to their brand for that reason. They are also known for being a reliable and safe brand, so I feel like we made the right choice. The Daisy Dot design is of course aimed at girls, but it is not overly pink. The polka dots, flowers and powder pink are balanced out by a lot of black, so it will hide any marks and dirt pretty well. 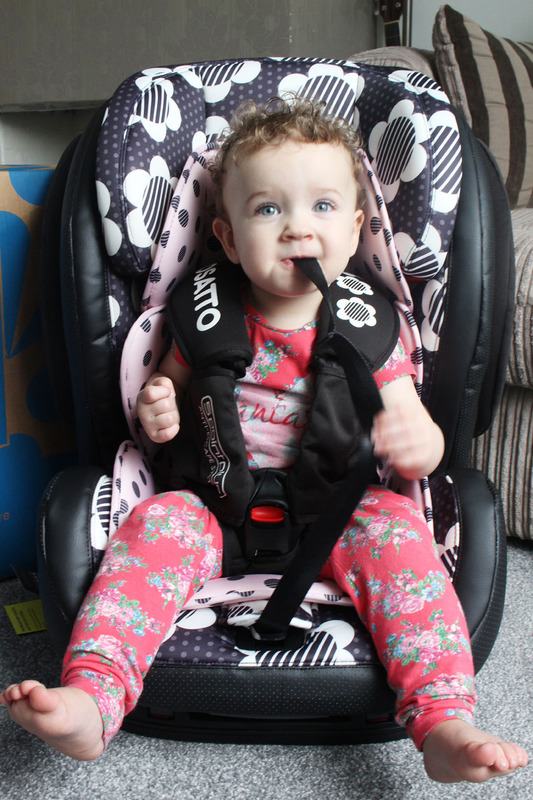 We always pick Isofix car seats for our kids, as they are much safer and also super easy to install in the car. 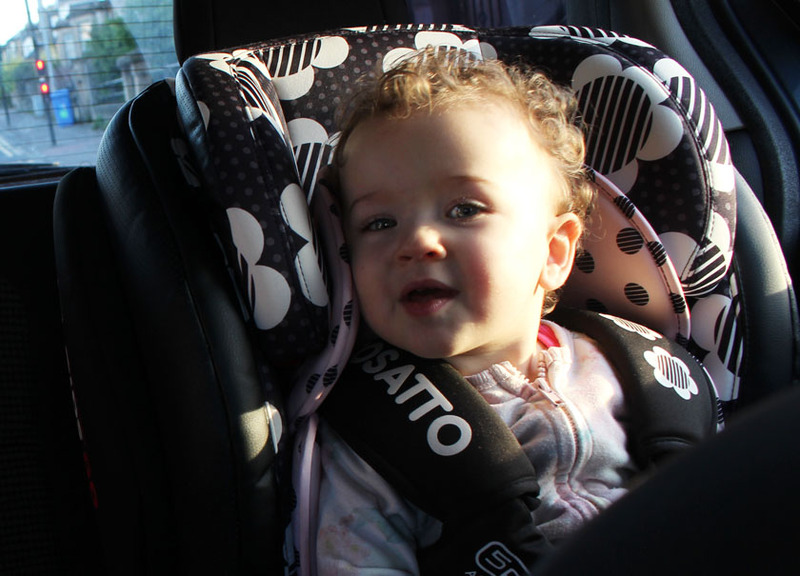 They just click into place into the isofix points in your car and you're ready to go! My husband uses his car for his business, so we take kids seats are in and out constantly. This particular seat is a 123 type, which means that it's a group 1,2 and 3 seat, suitable from 9kg-36kg (approx 9 months to 12 years). That’s pretty awesome! I don't mind spending a bit extra, if I know that something will last for a good few years. 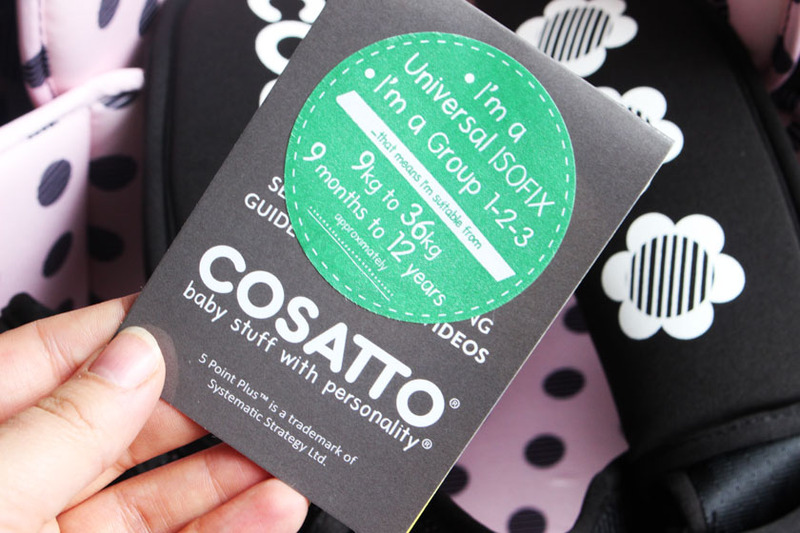 Our Isofix Hug features the brand new Cosatto Anti-Escape System with a 5 point harness, to make sure your kid has no chance of wriggling out. We were pretty lucky with Zachary, as he never tried escaping from his seat, but Mia is his polar opposite and she tries to wriggle out every chance she gets! Unless she's strapped in her Doona really tight, she can easily wriggle her arms out. In the Cosatto Hug with the new anti-escape harness, she has less room to pull her arms out, thanks to the soft body harness that goes all the way round her back and sides. 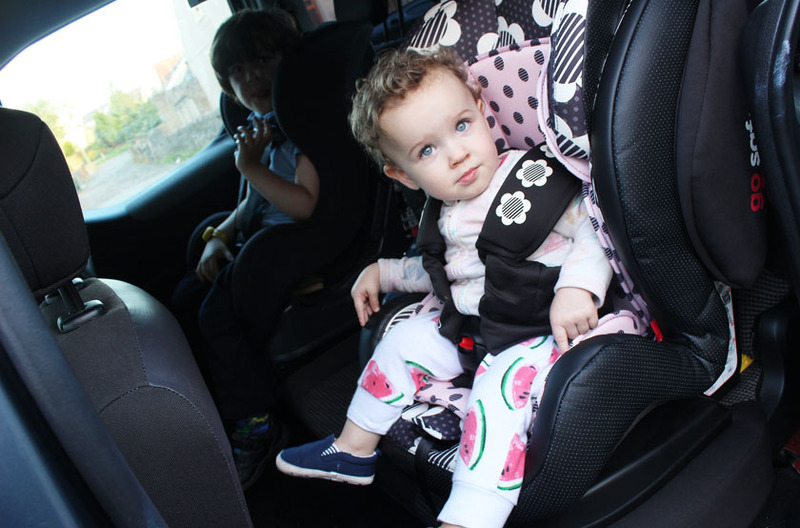 It not only prevents the child escaping, but also adds extra comfort with the padded straps. I would hate to think that Mia might wriggle out of her seat, so this puts my mind at ease. You should have seen her face, when she realised that she can't wriggle out of this seat - priceless! I must admit - the Hug looks soooo comfy! I want one for myself in an adult version! 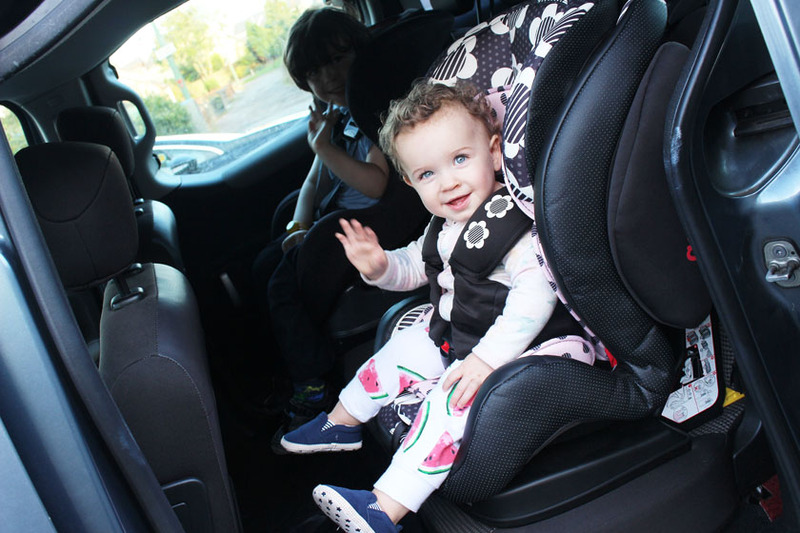 It has extra-cushioned Side Impact Protection and lots of padding everywhere to keep your little one super comfortable. The fabrics feel very expensive and the leatherette upholstery adds an extra touch of luxury. Lovely! The covers are easy to clean and pop-off, if you want to give them a wash. We all know how important that is - kids make a lot of mess and have accidents. How comfy does she look? Awwww, I can't cope with the cuteness. She's obviously eating a strap, as you do... Cheeky little munchkin! But no chance of wriggling out Mia! 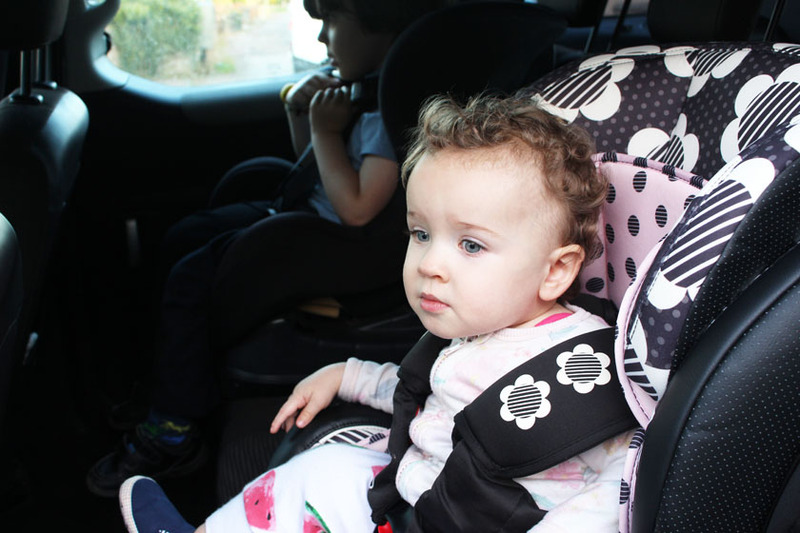 To add to the comfort, Hug ISOFIX features a 5 position recline, a growing flippable liner and straps that automatically adjust when the headrest gets higher. I am loving it already and I might get another one for Zachary, as his seat is a bit worn and he loves Mia's one so much! She had a little nap in the recline position recently and she looked so comfy and cosy. The best part for Mia is the new front facing experience and she is loving the interaction with us, joining in when we laugh and talk. She is so adorable! She is still very amused with her surroundings and looks out the window constantly. 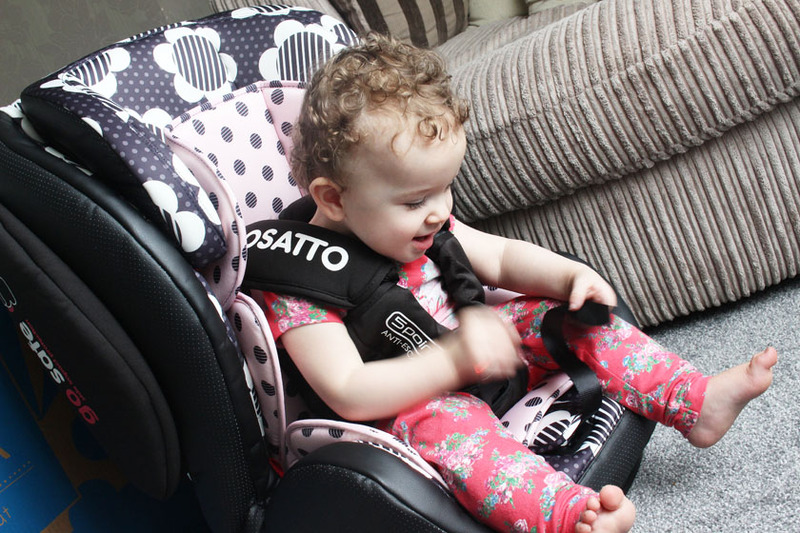 Overall, we love our Cosatto Hug woth their new anti-escape harness. If it's Mia-proof, it must be good, as she is a little magician and can escape anything. Just make sure to pull the straps quite tight and your child will be safe. The only thing I am finding hard to adjust to is the fact that I have to carry Mia out of the house in my arms and strap her in inside the car, as opposed to just taking her out in the Doona and clipping it into the Isofix base. But... those days are over and she is now a big girl, so we travel with a Cosatto Hug. 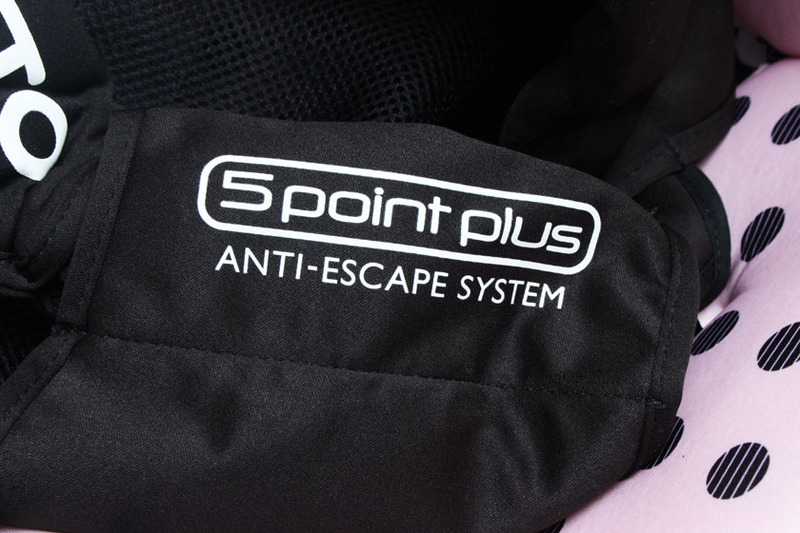 Have you heard about the new 5 Point Plus Anti-Escape System? Do you think your little one needs it?